This 1956 album really reflects and is appropriately named “The Modern Art Of Jazz,” as Zoot Sims and company are more than qualified to represent the Hard Bop movement which began more or less 3 years before. The songs are mostly fast, with plenty of improvising taking place and of course, with great solos in between. 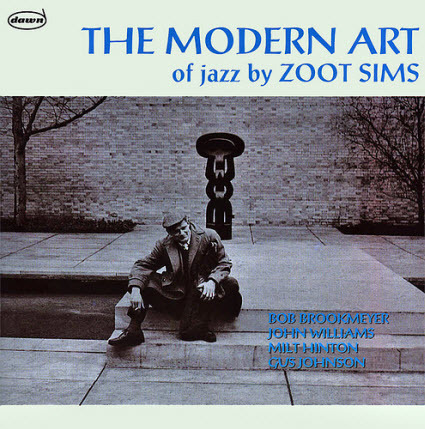 I recommend this classic album to all Jazz fans and which in my opinion, could possibly be Zoot Sims’ best recording in a studio atmosphere with him being the leader. Either if you agree with me or not, it doesn’t really matter. There’s one thing for sure though, if you follow Zoot Sims or consider him a great inspiration, then you already have this album. Get this album people! 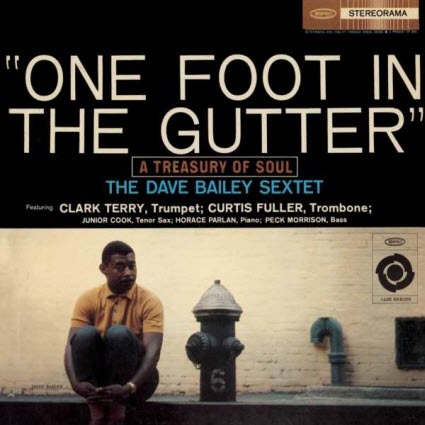 The album description of this Dave Bailey 1960 album below, “One Foot in the Gutter,” is very well written and with sufficient detail except for its clarity concerning in which manner it was recorded. It was done“live” but not in a Jazz club as where most of these recording are done. It was a one shot deal and a 4 song, well organized jam session was the result. 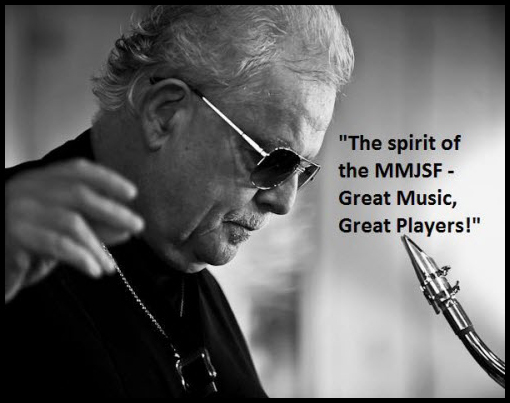 This is just another reason why Jazz rules, the important element that Jazz strongly possesses, Freedom of expression! This brings out the best of any musician and why these musicians were so talented. ENJOY! Note: This was Dave Baily’s first recoding as a leader. Recorded on July 19 & 20, 1960. Originally released on Epic Records (17008). Includes liner notes by Dave Bailey and Dan Polletta. 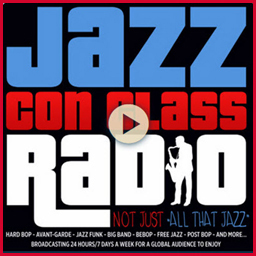 Thia is another beauty that the listener here on Jazz Con Class Radio will admire! 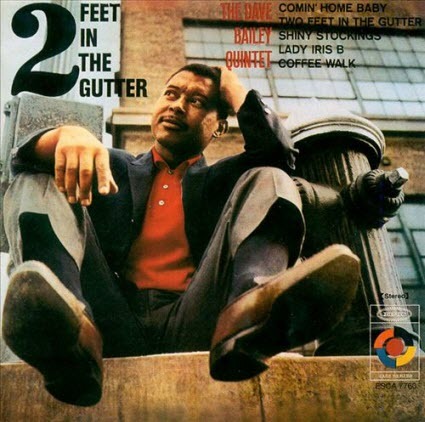 “Two Feet in the Gutter” was recorded 1961 and in the usual manner, in a studio and with no live audience (different takes). It has 5 songs; “Comin’ Home Baby,” “Two Feet in the Gutter, ” “Shiny Stockings,” “Lady Iris B” and “Coffee Walk.” Great stuff, ENJOY! 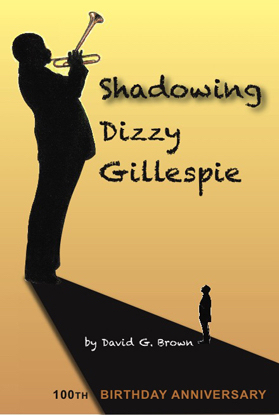 Note: This was Dave Bailey’s final recording as a leader. This Tuesday’s Jazz presentation will be dedicated to Mel Martin and all the members of his famous saxophone forum located on Facebook. 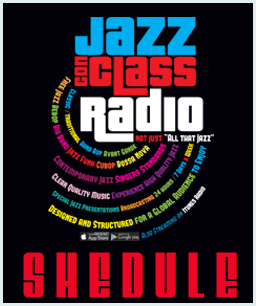 I consider myself a regular contributor and can imagine “all” the Jazz Con Class Radio listeners being part of it also. 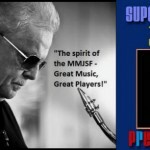 There is a high concentration of musicians that belong to Mel Martin’s Jazz Saxophone Forum and they are more than helpful to offer their valuable time to make it comfortable for all the non-musician Jazz fanatics. 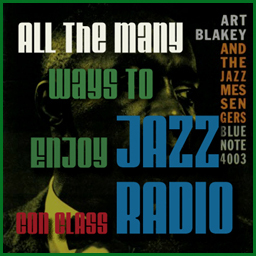 Their professional insights not only makes it a fun experience but also very educational one for those who are eager to learn more about Jazz. The forum happens to be public, as it should be and is very, very active! All the members follow the simple set rules just like all other forums demand from its members and everyone interacts and has fun! 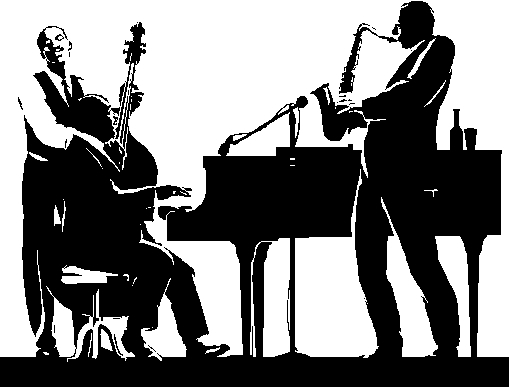 I look at it this way, “Don’t think you know so much, don’t assume, keep it real and by no means, don’t post any Smooth Jazz.” The best part of being part of this forum is the music that is posted there, WOW! 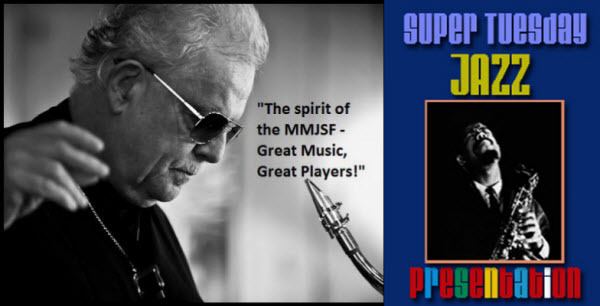 So, as a token to my appreciation, I have prepared and dedicated this week’s “Super Tuesday Jazz Presentation” to this magnificent forum and all of its members. The playlist that I have prepared here will play three times throughout the day so it can be heard in a global manner (From 3AM to 6AM, from 12PM to 3PM and from 8PM to 11PM (All Times are New York, Eastern Daylight Time) learn more here. There are many ways to hear the broadcast so there is no excuse. 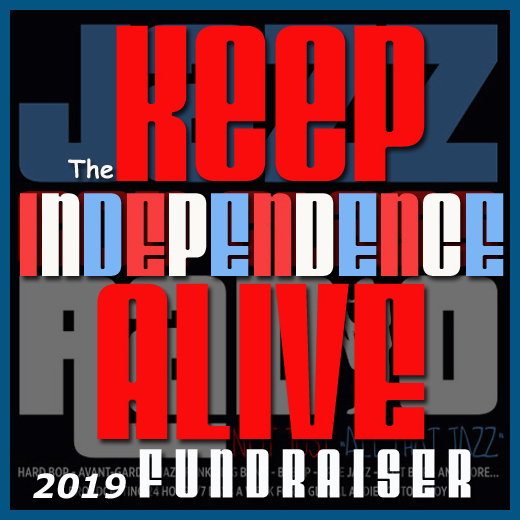 I want to personally thank Mel Martin for this forum and would like to add that this will not be the only time I will do this! Have fun and ENJOY! This album was recorded in 1970 and released in 1974 on the Black Lion label. 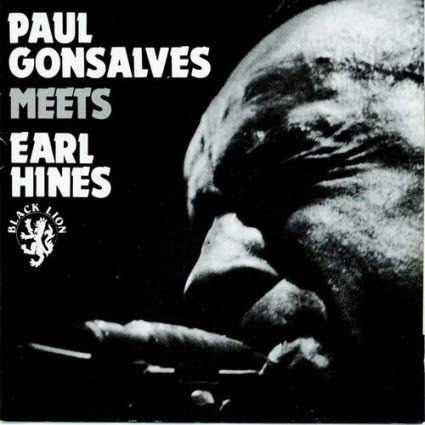 Information for this album, “Paul Gonsalves Meets Earl Hines” is not readily available but the description below gives a great insight of the musicians involved in this all-star quartet! A real classic recording that escaped the radar! Black Lion Records was a jazz record label based in London, England. Black Lion was founded by Alan Bates in 1968. 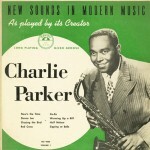 The label had two series of releases, one for British jazz musicians and one for international musicians. 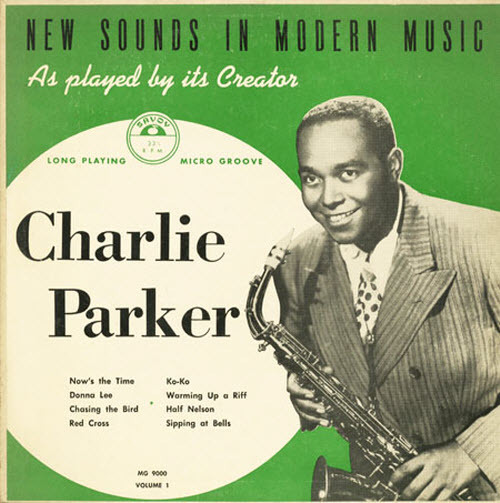 It released a large amount of reissue material, including items by Art Tatum, Jay McShann, Ben Webster, Earl Hines, Bud Freeman, Bud Powell, Don Byas, Coleman Hawkins, Mal Waldron, and Duke Ellington. It had a subsidiary called Freedom Records, which concentrated on free jazz releases; this wing was bought by Arista Records in 1975. The label was distributed by Polydor for part of its existence. It became part of the D. A. Music family in the 1980s, while Bates bought Candid Records in 1989 and shifted the focus of his activities there. Here’s the Discography for Black Lion Records, most of their recordings were reissued albums, CD’s. This article is about the term “Discography,” its importance and the enormous benefit it has on Jazz fans. A discography is the most efficient process used to prove and give absolute credit to the particular individuals, by including the musicians, composers, arrangers and producers responsible for the creation of a musical album. That’s the end result but the process itself, is very painstaking and can take years to complete. The reason why is because decades passed before any data concerning any sound recordings was ever officially cataloged. 1. a selective or complete list of phonograph recordings, typically of one composer, performer, or conductor. 2. the analysis, history, or classification of phonograph recordings. 3. the methods of analyzing or classifying phonograph recordings. The best and most logical approach to learn about Jazz musicians and their contributions (records they made) is with a high quality Jazz Discography. If anyone would be interested in creating a discography of Jazz, they would have to start by learning of all the labels (Record Companies) used to physically produce the phonograph album. After obtaining the names of these companies, then they would be able to begin, in chronological order, to document a sort of database with the names of all the individuals responsible. In a discography the most important information posted and what counts the most is a detailed list of the names of the artists involved, the time and place of the recording, the title of the piece performed, release dates, type of format used (Vinyl, CD, etc.) Here are two examples to get an idea, first a Jazz discography of record label (Prestige) in chronological order (1933-1948.) 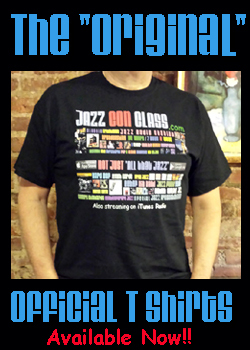 In the second example you have the discography of John Coltrane only, in chronological order. 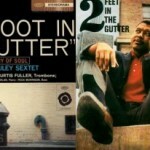 These examples are from Jazzdisco.org. 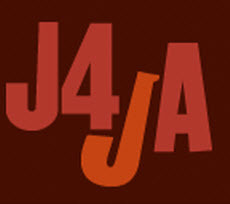 This website has devoted all their efforts in cataloging Jazz music. They are not completely done and are constantly adding more information from their sources, its an ongoing process but very beneficial for the Jazz fans out because it is in a computer based database. This website and several others, which I will mention at the end of this post, are very effective and very dependable but are not considered to be the indisputable “Official” and most accurate source of information. The record companies have hired certain Discography experts to catalog their records and they have documented it in books, here’s more on Discography and a great list of authors. Jazz fan can also go to the websites of these record companies (if they are available) and find the result of all the cataloging, here’s a look at the discography of artists that recorded for the the Verve Label. For real Jazz fans, this is a very cheap and very general manner of looking through a discography of a record label, the website is basically useless and is only trying lure the viewer to buy the music. Let’s Compare the Verve website results with the Discogs.org results. 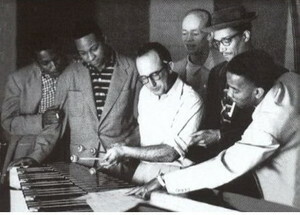 The best way for me to find Jazz recordings is to search for the artists and then find other artists through their recordings. A great way to start is to do a quick search on Wikipedia, I’ll use the great Cannonball Adderley as an example, here. There you can see the albums he recorded as a leader and the ones he was a part of it. That’s a great start but only the beginning, from their you can search through all the discographies available and find out about all the albums he recorded and search the discography of the members he played with. When it comes to Jazz, for example Bebop and Hard Bop, you will notice that most of these legendary Jazz musicians revolved from band to band and took turns leading their own bands. Believe me, you can find some incredible albums that you never heard of and by Jazz greats who are not considered household names. I personally thought I had a considerable Jazz collection but to my surprise, I wasn’t even close. 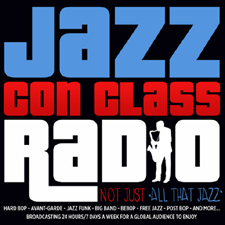 Within the last three years since Jazz Con Class Radio began to broadcast, I have found hundreds of more recordings. 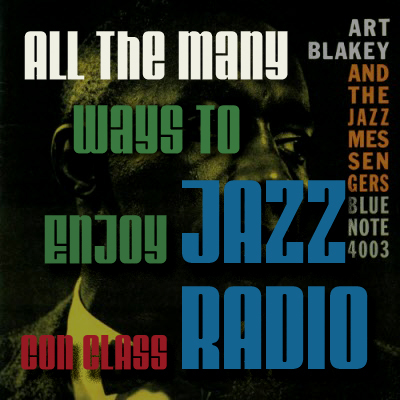 This Jazz station concentrates only on Jazz music from the very late 40’s to the early 70’s and I would like to think that there will be a point when my search for great recordings would end but there is absolutely no ending in sight. 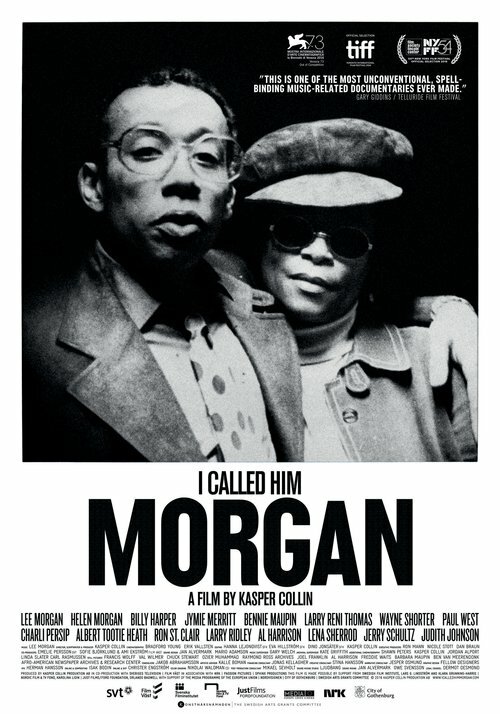 I can’t even imagine it because Jazz musicians from these years are the greatest musicians that ever lived! Every single song they recorded is a classic! 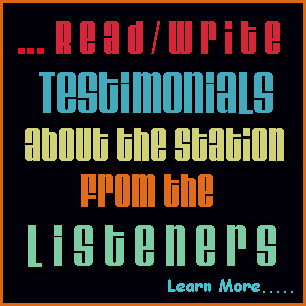 That’s great news for my listeners, they are certainly spoiled and they deserve it! ENJOY! 1. Michel Ruppli on Amazon. 2. Tom Lord on Amazon. 3. Charles Delaunay on Amazon. 4. Brian Rust on Amazon. 5. Jorgen Grunnet Jepsen on Amazon. 6. Walter Bruyninckx on Amazon. 7. Erik Raben on Amazon. 8. Bruce Epperson on Amazon. Note: I will add more links in the future, if necessary. 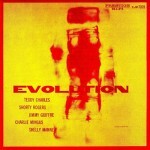 The Jazz musicians listed on the album cover of this album “Evolution” only relate two the last two songs on this album and was recorded in Los Angeles, California on August 31, 1953. The songs are “Free” and the title track, “Evolution.” Teddy Charles then moved across the country and recorded the other 6 songs in Van Gelder Studio, Hackensack, N.J. on January 6, 1955. 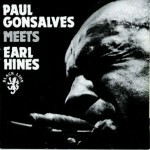 Here he was joined by J.R. Monterose (Tenor), Charles Mingus (Bass) and Jerry Segal on Drums. Jimmy Giuffre (Tenor), Shorty Rodgers (Trumpet) and Shelly Manne stayed home. So in reality, it is two albums in one, why they titled cover in this manner and excluded those particular artists is a mystery to me. Either way its a great album to own, ENJOY! Captain Ted Charles, owner of the Skipjack Pilgrim, is considered by many to be the most experienced owner-operator of commercial sailing charters on the east coast, sailing extensively from Martha’s Vineyard to the Caribbean. Since the mid 1960s, Capt. Ted has owned and operated commercial charter vessels from ports such as New York’s City Island and South Street Seaport, Miami and Key West, and throughout the Leeward Islands in the Caribbean. Ted was formerly the owner and Captain of the Schooner Mary E.